NOTE: In August 2012, the FPA recieved a Performance Test Submission for the Patrick Hahn VIP product. Several emails were exchanged between Mr. Hahn's email address and FPA Testing. 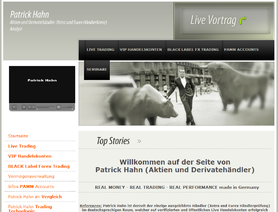 Once it was listed, a link to the FPA Test was added to the VIP product's page on the patrick-hahn.de website. When asked why he submitted account information for something he did not want published, he claimed to have not submitted the product. Normally, the FPA doesn't delete tests. This one had only been running a few days, so we'll make an exception.